Offering you a complete choice of products which include chromium zirconium copper rods, tellurium copper, beryllium copper rod, chromium copper, cadmium copper and tungsten copper alloy. Chromium Zirconium Copper Rods C18150 is an excellent and unique copper alloy with high electrical conductivity, hardness, and ductility, moderate strength, and excellent resistance to softening at elevated temperatures. The addition of 0.1% zirconium (Zr) and 1.0% chromium (Cr) to copper results in a heat treatable alloy which may be solution treated and subsequently aged to produce these desirable properties. 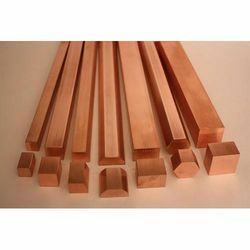 Chromium Zirconium copper comes in the form of bar, plate, sheet, strip, rod and custom shapes as per buyer’s requirement. We are Biggest Manufacturer, suppliers, exporter & stockist of zirconium bar, rod, plates & sheets in India. SIMCO is one of the leading manufacturer and supplier of high-quality tellurium copper c14500 in India. Tellurium Copper’s resistance to hydrogen embrittlement combined with its high electrical and thermal conductivity make it the ideal choice for electrical applications requiring extensive machining, corrosion resistance, or for the production of hot forged products. 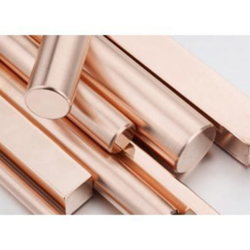 Typical application/use of Tellurium Copper includes Transistor Bases, Motor Parts, Electrical Connectors, Switch Parts, Welding Torch Tips, Soldering Tips, Screw Machine Products, Forgings, etc. 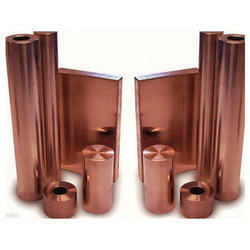 SIMCO provides tellurium copper which is manufactured by complying with international standards. Beryllium copper rods are utilized in very specific and often tailor-made applications such as oilfield tools, aerospace landing gears, robotic welding, and mold making applications. SIMCO exports and supplies beryllium copper rods which is manufactured in accordance with the defined international standards. 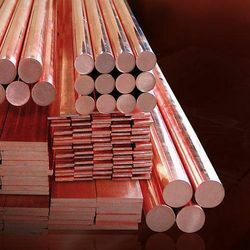 We specialized in manufacturing, exporting of beryllium copper c17200 rods & beryllium copper c17300 rods . 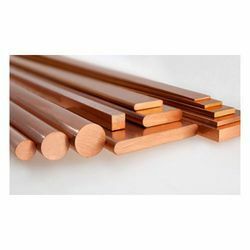 Beryllium copper rods owing to its robust construction and high functional efficiency, copper beryllium rods are extensively used for various industrial applications. Beryllium copper rods available in different size, dimension in ready stock. 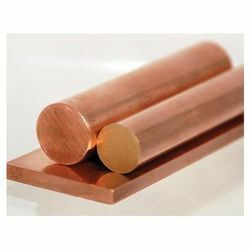 We offer wide range of Beryllium copper rod that is extensively used to give strong support to pipes. Application EDM electrodes, heat sinks, resistance welding, etc. Looking for “Copper Based Alloys”?